A happy tummy is a happy mummy. 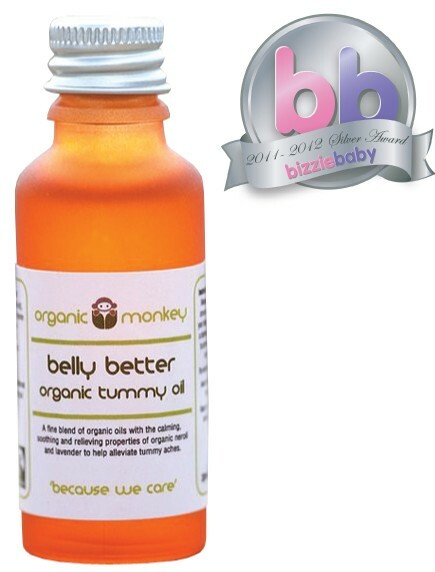 Our Belly Better tummy oil is here to soothe and calm and keep your little monkey as bright as a (belly) button! 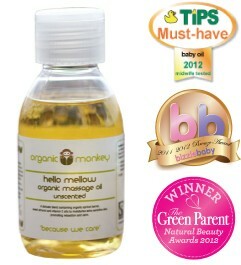 Belly Better is a fine blend of organic essential oils including Neroli and Lavender, known to calm and soothe. Perfect for a gentle tummy rub or a massage before bed to aid a good nights sleep. ✽Prunus amygdalus (sweet almond oil, ✽Carthamus tinctorius (thistle oil), ✽*Olea europea (olive oil), Tocopherol (vitamin E oil), ✽Citrus aurantium var.amara (neroli essential oil), ✽Lavandula angustifolia (lavender essential oil), **D-Limonene, **Geraniol, **Linalool ✽ ✽ Organically grown ingredient. * Fairtrade ingredient certified to international Fairtrade standards. www.fairtrade.org.uk ** Natural component of essential oils. 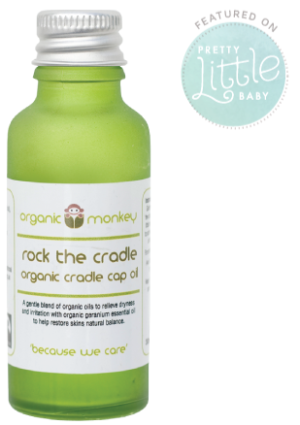 Massage and small amount of oil onto your baby’s tummy in a clockwise direction to comfort, soothe and relax. For external use only. Avoid contact with the eyes. Keep out of reach of small children. Suitable for use from 3 months.